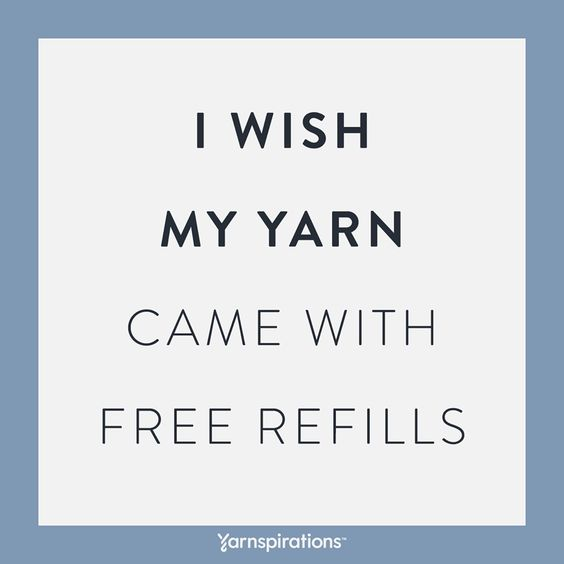 Do you know the song by Soul II Soul called Back to Life, Back to Reality (Or am I just aging myself).....well, that is kinda how I feel today......it is my first day back in the office since November 16th! 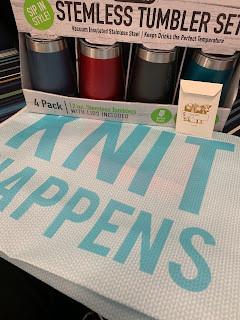 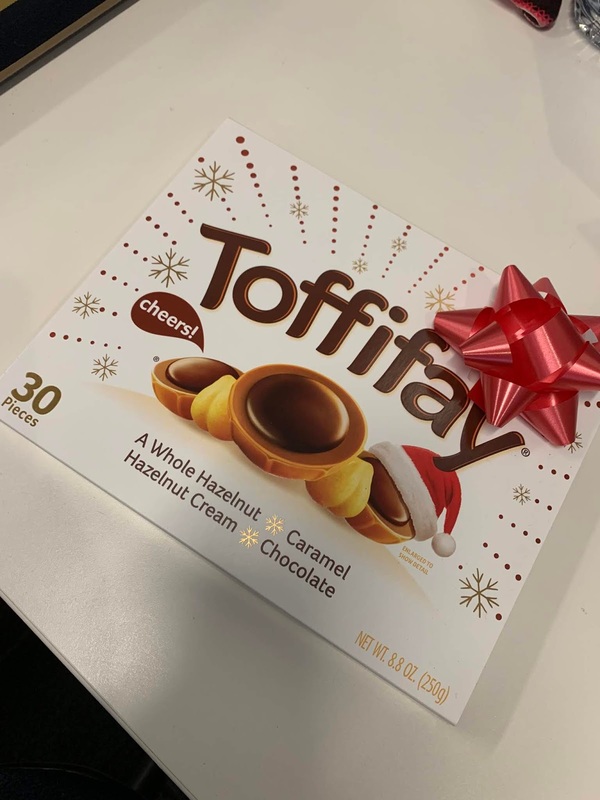 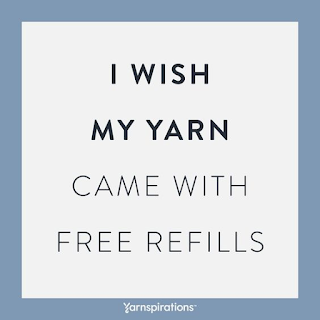 Upon my arrival to work, I had some gifts from friends.....a cash gift card, a stemless tumbler set with a bag that says Knit Happens and some toffifay of course.....I have some amazing friends....thank you! 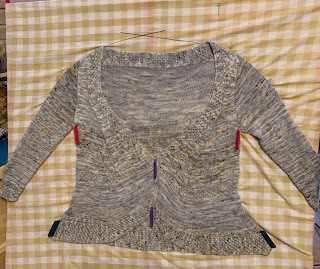 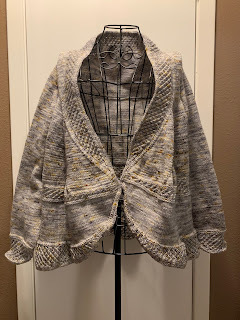 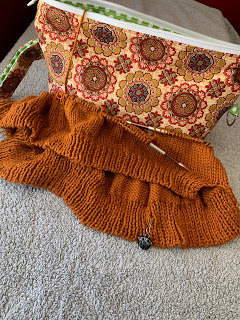 I did finish one more thing this past week......the test cardigan! Yahoo! 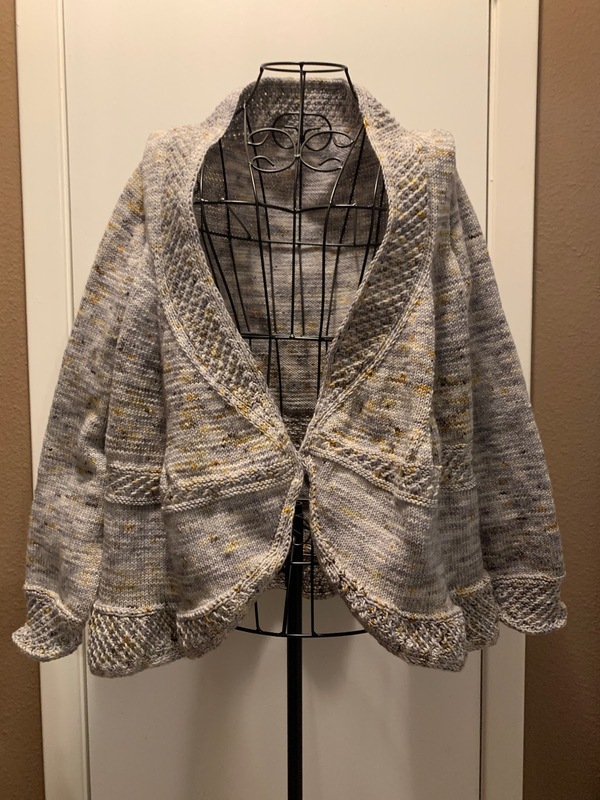 Now, I still need Paige to model it for me so I can snap some pictures and provide modeled pics to the designer, but I am very happy with it! 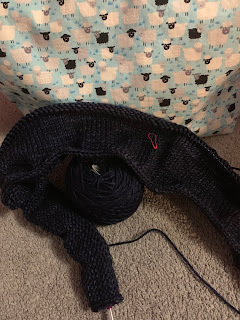 I also finally started the sweater for my niece, Grace. 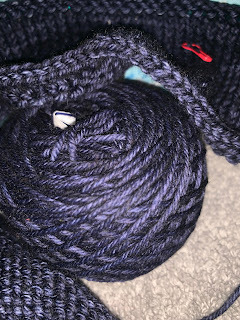 The first picture makes the color look almost black, but it is really a deep, deep blue....the second picture has the flash on and the yarn is not quite that bright. 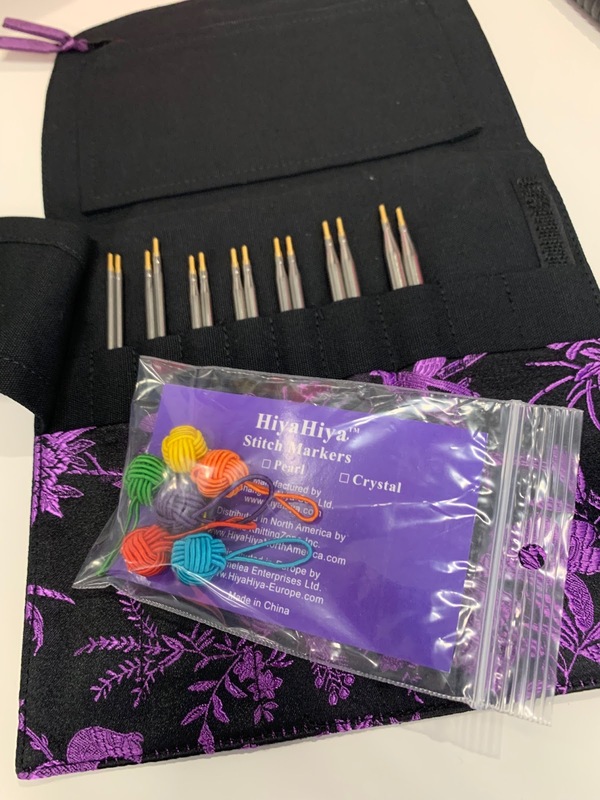 I also got another needle set from HiyaHiya as a gift for hostessing a KAL.....plus some dumpling stitch markers.....these needles are wonderful! Lastly, I have been wanting to try the Oats Over Night....so I got a starter pack and I really love them....Today I had strawberries and Cream, tomorrow I think will be the Green Apple Cinnamon, and Wednesday will be Chocolate Peanut Butter Banana!